The UK manufacturing industry has changed drastically over the years with much of the original UK manufacturing shifting overseas to countries like China, Japan and Germany. British manufacturing although reduced is still highly respected and known worldwide for its unwavering quality and constant innovation. It is quality made British products that encourage people to remain passionate about and continue to buy UK made products with the utmost confidence. British manufacturers are leading with the way with innovative new product designs that are built to last. In 1978, 25% of UK jobs were in the manufacturing sector. By 2014, only 8% of jobs were in manufacturing. The North West contributed the most to UK manufacturing turnover in 2012: 14.1%. The United States imported £32 billion of UK manufactured goods in 2013, more than any other country. 72% of total UK business R&D spending was on manufacturing activity in 2012, compared to 25% on services activity. 90% of UK manufacturer export products around the world. The UK is the world’s 6th largest manufacturer with strong positions in certain key industries, e.g. a 15% global market share in Aerospace. Overseas manufacturing may be cheaper but it can sometimes come at a cost. Labour may be cheaper, raw materials cost less but you lose a lot of the product quality when taking manufacturing overseas. Here at XL Displays we pride ourselves on our UK designed and manufactured products. Our prices are competitive but we never compromise on the quality of our products and services. We only use genuine Ultima® Displays Evolution Quick pop up stand hardware, all of which is designed and manufactured in the UK and we also conduct a test build to ensure the quality is at its best before we ship the finished product to you. All print, finishing, graphic design and manufacturing is done in-house at our premises in Peterborough UK. The quality of our Pop Up Stands is backed by an industry-leading 10 year warranty that comes with the hardware. 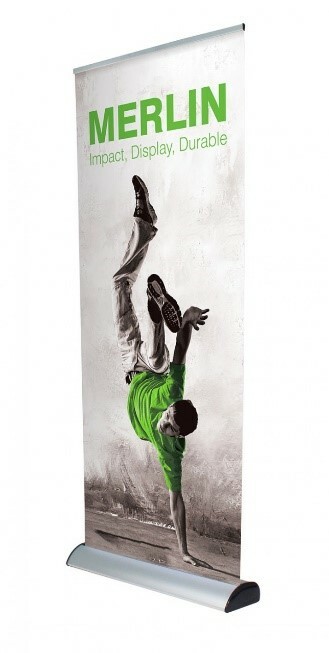 All of our banner stands are genuine Ultima® Displays hardware that is UK designed and manufactured. Like the pop up’s we print, finish, design and manufacture in-house. All our stock comes from the UK and is supported by comprehensive 1, 2, 5 year or lifetime guarantees depending on the banner you choose. All our display boards are designed and manufactured in the UK. 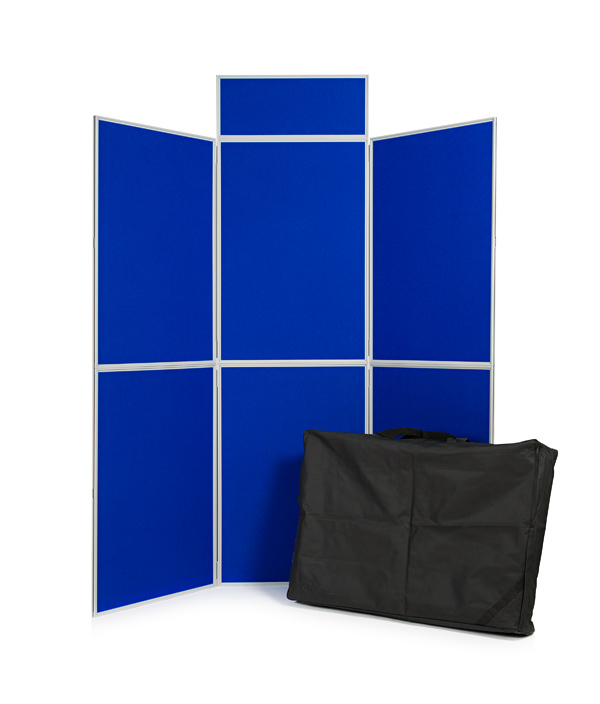 Each display panel is durable and covered both sides in luxury loop nylon which is Velcro-friendly meaning that your display materials are easily swapped around should you want to change your display. All of our display boards come with a 1 year guarantee. We print our branded tablecloths in-house using UK woven tablecloths that are commonly used in the hospitality and hotel industry. The crisp white table linen you see in 5-star hotels and high class restaurants, those are ours and that’s the quality you will receive! All of our tablecloths are overlocked to prevent fraying and also to improve the drape of your cloth. You can be assured that your brand and logo will be produced to the highest standard. It’s the quality you would expect from UK manufactured products. We are proud that we remain true to British manufacturing and we believe it to have a positive effect on our products and services. We are proud of our high quality customer service and we currently have a 9.5 rating on customer satisfaction on the independent review site Trustpilot. We believe this is down to the quality of the products we sell backed by the customer service we offer to all our customers. Trustpilot is a completely independent review site that we have no control over but it allows us to closely monitor and respond to our customer experiences and valued opinions. 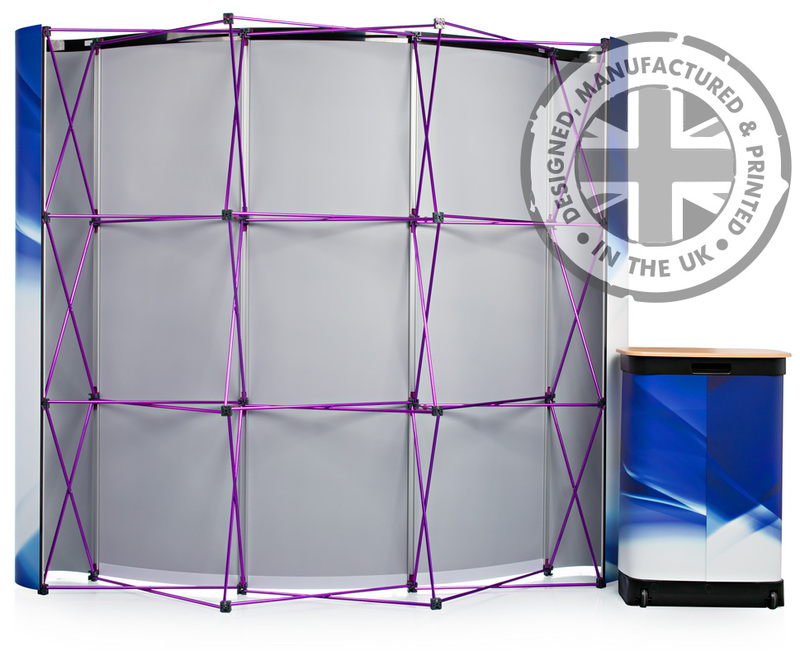 Here at XL Displays we strive to provide the highest quality of portable displays and custom built exhibition stands. For more information please contact us or call our sales team on 01733 511030.